The woman behind Feminist Frequency hasn't been shy about sharing stories of the harassment she's gotten while trying to create Tropes vs. Women in Video Games. Anita Sarkeesian's goal of examining how women get portrayed in video games won her lots of enemies but, according to her, they thought of themselves as heroes. 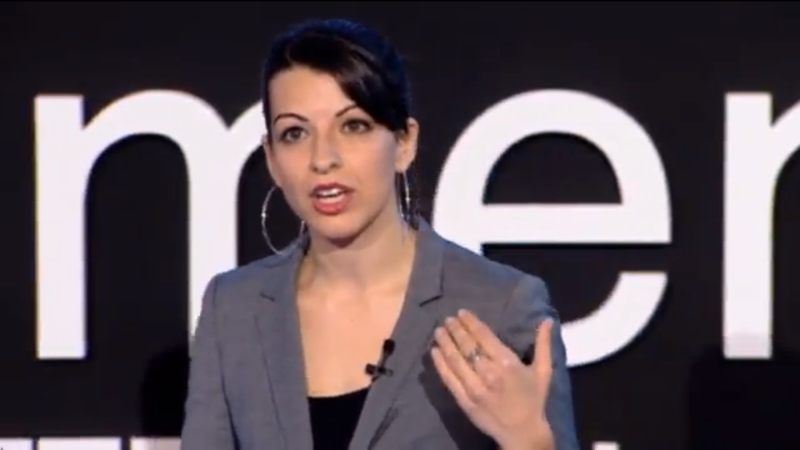 In this TEDxWomen talk, Sarkeesian discusses how the harassment she's been weathering got framed as a game by her attackers, with her as the final boss. Getting her to end her efforts would be beating the game. Things didn't work out like that, though, and the furor wound up helping her more than it hurt. And the designation of Sarkeesian herself as an ultimate enemy is very telling. It's one thing to enjoy depictions of attractive people of whichever gender you happen to be attracted to. It's another to think you have a right to depictions of those people. And another entirely to be so attached to those depictions, and so uncomfortable or insecure about acknowledging that they might be problematic, talking about it, and enjoying them anyway that you get hysterically angry when someone proposes simply to analyze them. That says a lot more about you than your rational, intelligent, easily-supportable target. And it means that even if you succeed at whipping up a small, dedicated subculture to try to shut the thing you hate down, your chances of succeeding, and of being taken seriously by the outside world, are necessarily going to be limited. In a way, Anita Sarkeesian's haters are like the Westboro Baptist Church: they can cause real emotional pain, but not substantive change, and they mostly exist as a reminder of their own increasingly marginal role in cultural or political life. Sarkeesian mentions that she's been invited to talk at video game studios all over the world. Think about that. The people who create the games that her harassers think she's endangering want her to come talk to them. Maybe her ideas aren't that dangerous, then? At the very least, if you think she's way off-base, let Sarkeesian's project come to fruition first and then offer up some sort of rebuttal. Trying to silence her before she's even had her say clearly hasn't worked.